This post was made possible by the generosity of another writer. Bacon has held a bad reputation for health for several years and many people wonder if bacon is healthy. The claims that bacon is high in fat, causes high cholesterol and ultimately leads to serious health conditions are not entirely true. Bacon does have some surprising health benefits that make it a great addition to a diet plan when it is eaten in proper serving sizes. The concern that bacon will ruin good health is a myth. According to Heesa Phadie, bacon has healthy nutrients that make it a useful part of a healthy diet. Bacon contains thiamin, vitamin B12, zinc and selenium, which are all vital nutrients the body does not naturally produce. The B vitamins are a necessary part of fighting anemia and maintaining high energy levels throughout the day. Since bacon contains natural B vitamins, it is healthy for the body. The vitamins are needed to move nutrients around the body through the circulatory system and a deficiency can lead to serious complications. Zinc and selenium are vital antioxidants that are necessary for immune health. When the body does not receive enough nutrients and antioxidants, cells can start breaking down at a faster rate and the health is compromised. Bacon is useful in fighting health problems because it contains healthy antioxidants. Bacon does contain fat, which resulted in the concerns to personal health. While bacon has some fat, it does not contain the most harmful form of fat. According to the website FillYourPlate.org, bacon does not have any trans fats. The most harmful form of fat is trans fats, which are created fats designed for preservation. Bacon does contain fat, but the amount is exaggerated. A single serving of bacon has less fat than many consumers assume. According to Boss Hog on the website BaconToday.com, bacon has less fat and cholesterol than many popular cuts of beef and chicken. The low fat content when compared to the amount of nutritional value is surprising. Boss Hog explains that bacon has the highest protein to fat content of any meat, which makes it a great option when following a high protein diet or after exercise. The meat is surprisingly nutritious and good for mental health. Bacon is a natural mood enhancer that helps encourage positive mental states. According to Visual.ly, the umami in bacon is an addictive substance that has a neurological impact on the brain. Boss Hog on Bacon Today states that the meat causes a happy and blissful effect after eating it. The effect causes improved mood, satisfaction and lowers stress levels. Since stress is a serious complication to physical and mental health, it is important to take measures to control the harmful emotional state. While several other options are available to reduce stress, many solutions take time. When time is short, grabbing a piece of bacon can help enhance mood and reduce stress levels within a short period of time. A surprising fact is that bacon is healthy for the heart. Bacon contains omega-3 fatty acids, which are the same nutrients found in fish. The healthy benefits of omega fatty acids are the reduced cholesterol and improved overall health in the heart. Despite the myth that bacon causes heart disease, it actually has a positive benefit on the heart and body. High cholesterol is a problem for many individuals, but a serving of bacon can help reduce the bad numbers while raising the good numbers over time. According to Boss Hog, choline is another material that helps protect the heart from damage and disease. Bacon can help heal the heart and other organs in the body due to the choline that is found in the meat. Choline is suggested for healing abnormalities and is a good element to add to a pregnant woman’s diet due to the impact on fetal brain development. Choline improves fetal brain development when it is eaten regularly during pregnancy. The health of the brain is vital for the entire body. The brain is the organ that controls the body and ensures everything functions appropriately. When problems develop in the brain, it leads to odd behaviors, memory loss and ultimately death when it is not properly managed. According to Boss Hog, the choline in bacon is not only useful for the heart. Choline is a necessary component for the health of the brain. A diet that contains choline on a regular basis will show reduced rates of memory loss over time. It is used in treatment for mental impairments, including Alzheimer’s Disease and similar dementia diseases. Studies have shown that choline improves memory, intelligence testing and reduces the speed of damage to the brain from dementia. The impact on the brain is useful at any age. Since it improves memory, bacon is a great addition to breakfast during the school years. 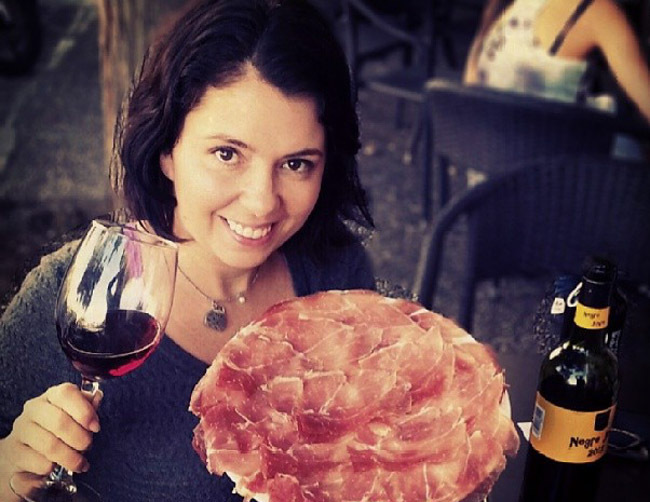 Follow Bacon is Magic’s board Charcuterie and Salumi Recipes on Pinterest. How ironic that I came upon this article when I was just about to make a trip to the corner store to get a couple packets of bacon and bread to make a bacon alone sandwich. I have a terrible craving for bacon. Don’t know why but I always have to eat a slice of raw bacon before I cook it and no, I’m not crawling with parasites either. Unfortunately I can’t share bacon with my dog as she can’t digest it. I LOVE bacon! I’m gonna enjoy my bacon tonight and I’ll eat an entire package at once I love it that much. Agreed a pack is far too much. I think bacon is magic because just a little makes a difference. Leave the bread alone. Two eggs and four strips of bacon around 10 AM, you won’t be hungry the whole day. Around 8 PM an oatmeal dish. That’s it. Steak once a week. Turns you life around. Tbh, it’s a worthy risk to take (given that those correlational studies were correct, I do believe there could be confounding variables because you cannot control anyone’s diet and they didn’t account for socioeconomic status, smokers vs non smokers because maybe ppl who eat bacon smoke more… idk) because even if it is a 15% risk from daily intake, thats very very small. The average person has a 5% chance of developing colon cancer in their lifetimes so if they eat 50g of bacon daily, their chance of developing colon cancer is (5*1.15)% = 5.75%. This is with daily eating, if you eat processed meats regularly but not daily, the risk is closer to 5% still. So really, it’s totally worth the slight risk and possible benefits that the WHO doesn’t even tell you about saturated fats. Protection to the heart – is the most “surprising fact” you have mentioned. Well, I know that bacon is rich in iron since all of the meat are rich in iron though but when say it is good for the heart? well, I’ll give the benefit of the doubt, besides I love bacon. 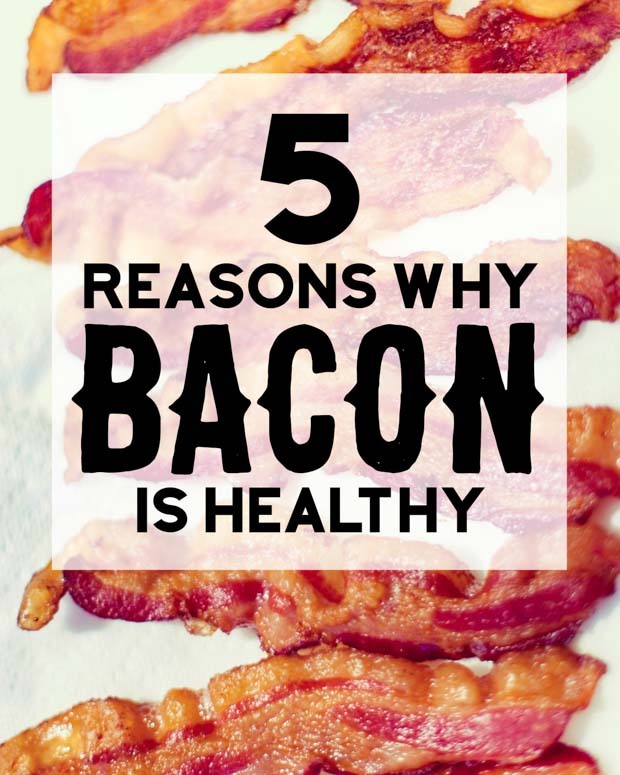 However, there are several factors to be considered before eating bacon – as what you have said it is renowned because it is high in fat, causes high cholesterol and ultimately leads to serious health conditions which I really believed. Perhaps, a certain food has nutrients that others may not have AND may not good in our health because of the medical condition we have. I need to get a bit more fat in my diet. I didn’t know that bacon had plenty of that! There’s also the fact that eating bacon makes people happier. I’ll have to get some so I can eat it more often. Buy sodium nitrate free bacon. Sodium nitrate is a carcinogenic ingredient. There are brands out there that is SN free. Thank you Allow the bread to sit unbothered. Two eggs and four segments of bacon around 10 AM, you won’t be eager the entire day. Around 8 PM an oats dish. That is it. Steak once per week. Turns your life around. This is the most pathetic thing I’ve ever read. Whoever wrote this is a moron and obviously wants to keep people sick. This is really creepy. I know right!? Bad science, bacon is a carcinogen! I’m a guy in ketosis. For those of you who don’t know what this is, it’s basically that no carb, high fat diet you’ve probably heard about by now. The KETO diet. I prefer rather to call it a lifestyle and not a diet. I’m Ketonic for life. Anyway, bacon is essential for my morning routine. I’ll have five strips coupled with five eggs fried in the fat of the bacon, some fresh spinach and a few celery sticks with hummus. This all after having hit the gym. And thanks to ketosis, I’m lean and mean with no cravings like people whose bodies function on glucose rather than ketones. Thank you for sharing these points. It is easy (and makes a great headline) to blame Bacon as the source of all evil in the world. The reality is a lot more complex. I asked my teacher what food does she think has the best overall nutritional value? I have never forgotten this nor ever underestimated pork in my diet since. I don’t know if she is correct but it made me a believer in keeping pork in my diet. Isn’t bacon a class one carcinogen? Just like cigarettes and asbestos?